Rosemary Meyer, 83, of New Haven, passed away Tuesday, January 13, 2015 at New Haven Care Center, New Haven, Missouri. Mrs. Meyer was born in Campbellton, Missouri on August 14, 1931, the daughter of the late Benjamin and Catherine (Koy) Bonnarens. She was the widow of Raymond L. Meyer who passed away September 1, 1990. They were married April 14, 1951 at St. Ann's Church, Clover Bottom, MO. Rosemary and her husband owned and operated a family dairy farm for 29 years, she was also a homemaker. Ruth Alleen Tritch, 83, of New Haven, passed away on Sunday, January 11, 2015 at New Haven Care Center. Mrs. Tritch was born in New Haven, Missouri on September 30, 1931, the daughter of the late William W. and Alma R. (Propst) Grubb. She was the widow of Orville J. Tritch. They were married November 23, 1950 at Trinity Lutheran Church, New Haven. Ruth was a member of Trinity Lutheran Church, New Haven, where she was a member of the ladies aid. She started working for Kellwood Company, which later became Hawthorne as a dispatcher. She then worked went to work for Christian News and later Citizens Bank where she retired from. Virgil Charles Laboube, age 92, of Hermann, died Saturday, January 10, 2015 at Frene Valley Health Center, Hermann. 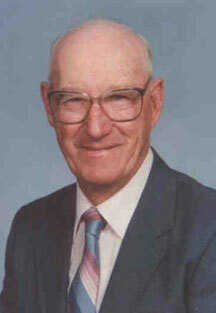 Mr. Laboube was born in Little Berger, on April 28, 1922, the son of the late Frank and Clara (Gatzemeyer) Laboube Sr. He was the husband of Ruth Laboube (nee Hug) who survives. They were married on October 19, 1946 at St. Joseph's Church, Little Berger. Norma D. Rohlfing, 75, of Hermann, Missouri, passed away on Monday, January 6, 2014 at New Haven Care Center, New Haven, Missouri. Mrs. Rohlfing was born in Stony Hill, Missouri on February 15, 1939, the daughter of the late William and Evelyn (Kottmeyer) Traub. She was the widow of Marvin B. Rohlfing. They were married September 9, 1961 at St. James U.C.C., Stony Hill, MO. Marvin preceded her in death on October 7, 2009. 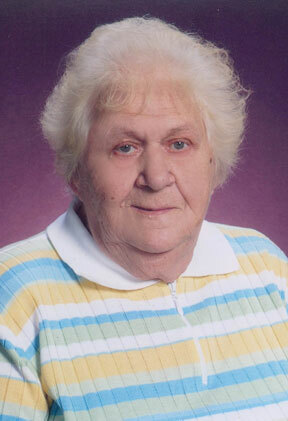 Zita Mary Johnson, 94, of Rhineland, Missouri, passed away on Sunday, January 4, 2015 at Frene Valley Health Center, Hermann, Missouri. Mrs. Johnson was born in Starkenburg, Missouri on June 12, 1920, the daughter of the late Gerhard and Katherine (Struttmann) Overkamp. She was the widow of Richard Marion Johnson. They were married September 18, 1943 at Bridgeton, Missouri. 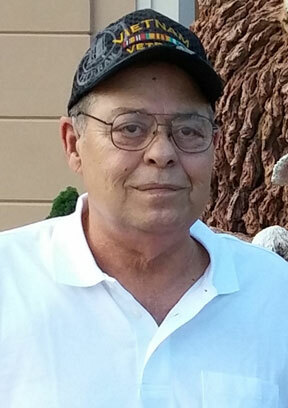 Lawrence "Larry" Madden, 75, of New Haven, Missouri, passed away Saturday, January 3, 2015 at Mercy Hospital, Creve Coeur, Missouri. Mr. Madden was born in St. Louis, Missouri on June 9, 1939, the son of the late Lawrence Edward and Margaret Mary (Moore ) Madden. He was the husband of Sandra Jean (Baker) Madden. They were married on November 4, 1961 in Mehlville, Missouri. Sandra survives in New Haven. Michael Dean LaBoube, 27, of Quincy, Illinois, passed away on Thursday, January 1, 2015 at Berger, Missouri. Mr. LaBoube was born in Hermann, Missouri on January 16, 1987, the son of Dean E. LaBoube and LouAnn (Caspers) Hatfield. Michael formerly worked for Wal-Mart as a clerk. He enjoyed hunting, fishing, listening to music, dancing, watching American Idol and playing video games. Ralph F. Vollertsen, 85, of New Haven, Missouri, passed away on Tuesday, December 23, 2014 at New Haven Care Center. Mr. Vollertsen was born in Berger, Missouri on June 2, 1929, the son of the late Erwin and Leona (Ruediger) Vollertsen. Ralph worked on the railroad, which he was very proud of. Later he worked for Langenberg Hat Factory. He enjoyed farming and raised cattle after retiring. John Edward Waters, Jr. was born to John Edward Waters and Elcie Nettie (Wright) Waters on September 6, 1943 in St. Louis, Missouri. John entered into eternal rest on December 15, 2014 at the age of 71. His body is to be cremated and interned at Jefferson Barracks National Cemetery in St. Louis, MO. John attended school in Kirkwood, MO, East St. Louis, IL and St. Louis, MO. Following his elementary education John entered O'Fallon Technical High School in 1958 and graduated from Auto Mechanics in 1962. Following high school he enlisted in the United States Marines with boot camp at Camp Pendleton, CA. He was assigned to the Third Marine Division (tank battalion) and worked in the message center. 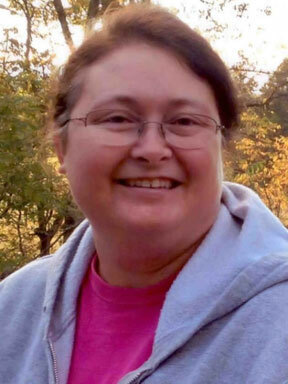 Tina Ileen Staley, 41, of Hermann, Missouri, passed away on Saturday, December 13, 2014 at New Haven, Missouri. Mrs. Staley was born in Hermann, Missouri on January 30, 1973, the daughter of Lloyd G. and Ileen D. (Humburg) Theissen. She was the wife of Clifford J. Staley. They were married May 14, 1994 at Hermann. Clifford survives in Hermann.